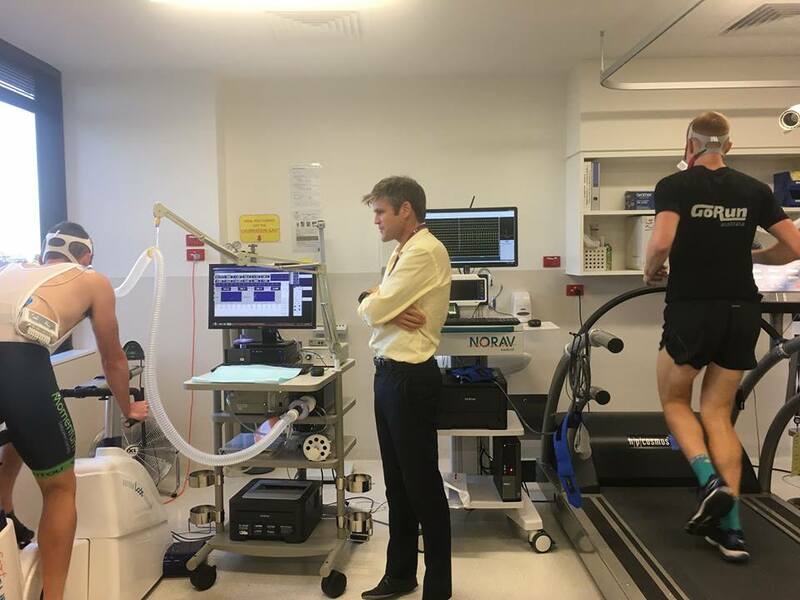 I recently attended an evening seminar at the Baker IDI Heart and Diabetes Institute to learn about heart health, the impact of running on our heart and what VO2 max testing involves, from Professor Andre La Gerche and his team. 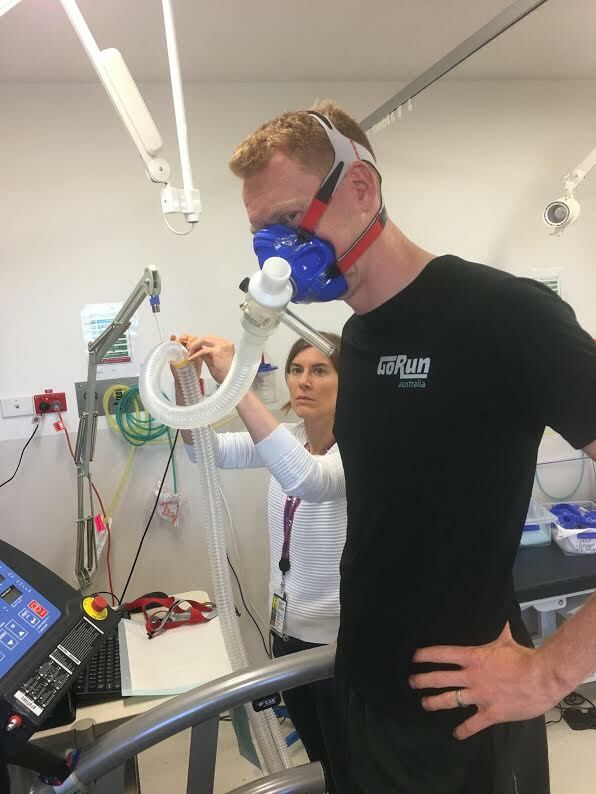 We watched two endurance athletes, Chris from GoRun Australia and Michael from Momentum Endurance Coaching, undertake a VO2 max test on the treadmill and the bike respectively. If you are worried about your heart, the team at Baker IDI are happy to test you. So what is VO2 max? VO2 max is the maximum rate of oxygen consumption as measured during incremental exercise, usually on a treadmill. Maximal oxygen consumption reflects the aerobic physical fitness of an individual and is a determinant of their endurance capacity during prolonged exercise. 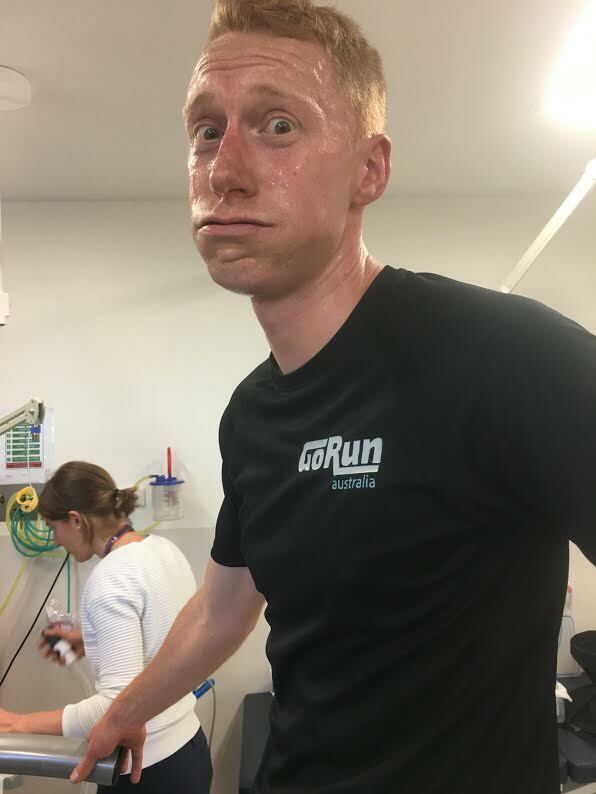 How is your VO2 max tested? VO2 max is usually tested on a treadmill or occasionally an exercise bike. It requires a physical effort sufficient in duration and intensity to tax the aerobic energy system. This involves a graded exercise test in which exercise intensity (speed and incline/resistance) is progressively increased while measuring ventilation and oxygen and carbon dioxide concentration of the inhaled and exhaled air. VO2 max is reached when oxygen consumption remains at a steady state despite an increase in workload. Firstly, what interested you in getting your VO2 max tested? I would never have thought to do this test if I wasn’t running 17 marathons in 2017 and trying to raise 17,000 for the Baker Institute. It’s going to be a huge challenge, far bigger than any other challenge that I have ever taken on, so I wanted to know that I was fit, healthy and ready to go into the challenge. 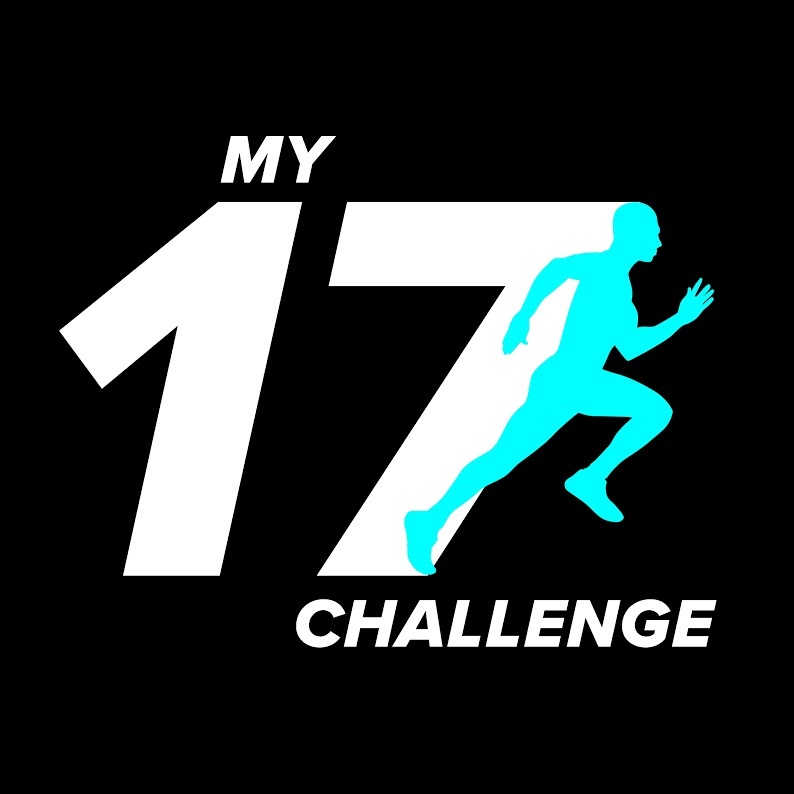 I am taking a load of other blood tests, MRI’s, Dexa Scans and am treating this 17 in 2017 challenge as a huge opportunity for me and the runners I coach to learn, test, experiment and grow. I really want to pass that learning and experience on to the runners that I coach and other recreational runners out there who have questions about their bodies. For example, answering these questions right now with you, I hope a runner somewhere will learn something and benefit from my experience in doing a VO2 Max test. What did the test involve and how did you feel during the test? It was tough! I think I was on the treadmill for about 20 minutes all together. Basically Andre and the team increased the speed of the treadmill every couple of minutes, starting at 10. Once I got to 16, they slowed it down a little and then increased the incline in 3 degree increments every 30 seconds. That was when things got really tough! You are wearing a mask over your nose and mouth and it gets really hot and difficult to breathe at that point. I think I reached 15 degrees on the treadmill and called it quits. I had a beetroot red face for about 45 minutes afterwards! What was your VO2 maximum recorded at? It ended up at 59. I must admit it would have been nice to reach 60…. What does this number mean to you? To be honest, not much! Its obviously nice to know that I am fit and that my heart and lungs are working, but to be honest I am personally more interested in the information that we can extract from that number and the rest of the graph. For example, the team at Baker Institute were commenting that you can make decisions on your nutrition strategies (carbs, fats, protein consumption) based on this information. Now to me that is something really interesting and practical which could make a real difference to my training and racing for the 17 marathons. Has the testing changed the way you train or your nutrition for training? It is obviously still early days in the 17 marathons, but I think it has. I am definitely more aware of my breathing and it has really got me thinking about how I train and asking honestly what some of my limitations are. For example I keep thinking back to the test and asking was it my legs, heart, breathing, or my mind that gave up first? 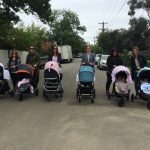 Could I have pushed harder? These are the types of questions that we deal with on long runs, intervals sessions and in our training as well, so they are important to address honestly. I am really looking forward to having another go at a later date and hopefully showing signs that I am fitter and healthier. Would you recommend your athletes have a VO2 maximum tested? Yes, it’s a pretty awesome thing to do if you get the opportunity. It was certainly great to have access to the world class facilities and staff at the Baker Institute for a little while and be able to ask questions and learn more about my own body and how it works. I think it certainly could be really useful for other recreational runners to do this type of thing and for them to not just look at the number in isolation, but to delve into some more depth and learn about how their bodies work. In my experience, if you are genuinely curious about this stuff and want to grow, you will be a better runner for it. It is definitely important to do something positive with the information that you are getting back and track your progress over time with another test at a later date.